Africa is leading the push for clean energy policy-making as climate change turns millions of its people into “food refugees”, the head of the U.N. Environment Programme (UNEP) Achim Steiner said. “On the African continent, there is sometimes more leadership being shown by countries, by governments, than we see in some of the industrialised nations,” Steiner told Reuters. “Kenya is currently doubling its energy and electricity generating infrastructure largely using renewables. These are policies that are pioneering, that are innovative,” he said, Reuters reports. The African Development Bank is financing Africa’s biggest wind farm on the shores of Lake Turkana, one of the windiest places on Earth. The $819-million project aims to produce 300 megawatts (MW) of electricity per year, boosting Kenya’s energy supply by 30 percent. Toyota and Hyundai are building a fourth geothermal power station in Naivasha, 100 km (60 miles) northwest of Nairobi, which will increase geothermal capacity from 115 MW to 395 MW by 2014. “We see across the continent both a realisation of how threatening climate change really is and also the inevitable necessity that governments have an interest in beginning to put their own development priorities on a different trajectory,” said Steiner. Investments in renewable energy are hitting record levels. In 2010, $211 billion dollars was invested in renewable energy, the majority of it in the developing world, Steiner said. As the world’s poorest continent, Africa is also the most vulnerable to the extreme weather conditions and rising sea levels brought by climate change. “The consequence of global warming for Africa is one of disruption, of greater vulnerability, higher risks and enormous expenditures to cope with these changes,” said Steiner. Expectations are low that U.N. climate negotiations in Durban, South Africa, from Nov. 28, will achieve anything more than modest steps towards a broader deal. The Kyoto Protocol obliges developed countries to reduce greenhouse gas emissions by 5 percent of 1990 levels by the end of 2012. Scientists say pledges so far to curb emissions will not prevent the planet heating up beyond the two degrees Celsius threshold they say risks more extreme weather, crop failure and major floods. Global average temperatures rose by 0.7C over pre-industrial times during the 20th century. 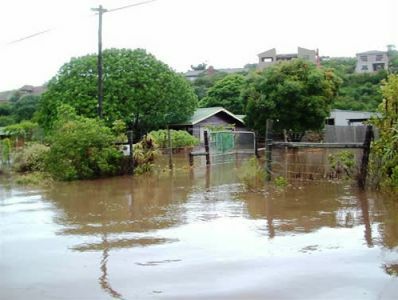 “The world is facing a situation where the only protocol that it has been able to put in place to address climate change is on the verge of actually being abandoned in Durban and that is a very serious situation,” said Steiner. “The world is going to pay a terrible price for this standoff and Africa in particular,” said Steiner.